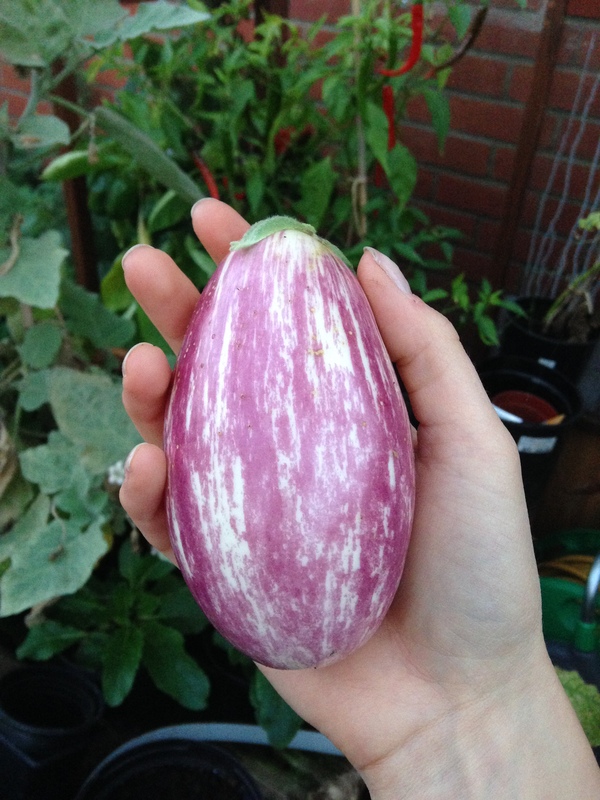 So I’ve finally plucked up the courage to pick my one and only aubergine…the last few days of growing seemed to be a bit of a play off between me and the slugs. I’m sure they’ve been hiding in the greenhouse waiting for this beaut to be ripe. Well tough luck sluggies, I got there first (*laughs out loud like a crazy person!!!*). I haven’t decided what to cook with it yet, its a bit tiny for the standard moussaka, might need to start flicking through some recipe books for some inspiration.